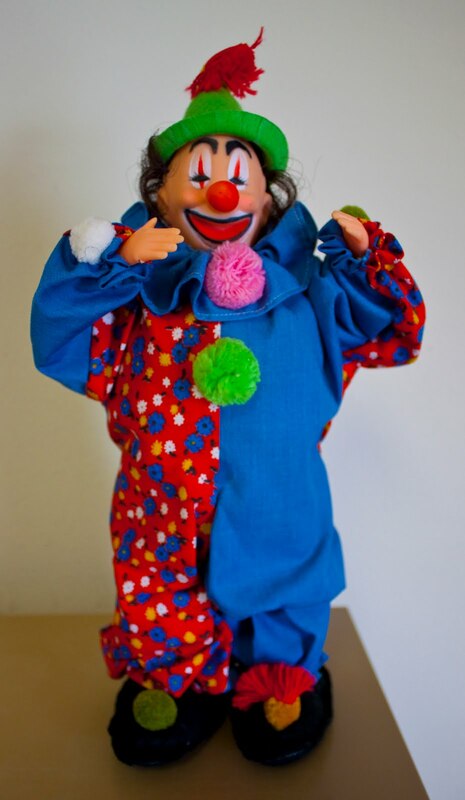 WARNING: If you have a strong fear of clowns...skip this post. Last week you saw our featured business of the week was Home Loan State Bank who offered prizes to those who found miss Margaret hidden out on the slopes (see previous post). We thought she was pretty creepy. Find him and bring him back to their booth in the lodge to receive swag such as hats and t-shirts. I'm thinking that a random clown hidden in the woods is material for a B movie style horror flick. But since many people are afraid of clowns, it really increases the chances of winning for those who are not!